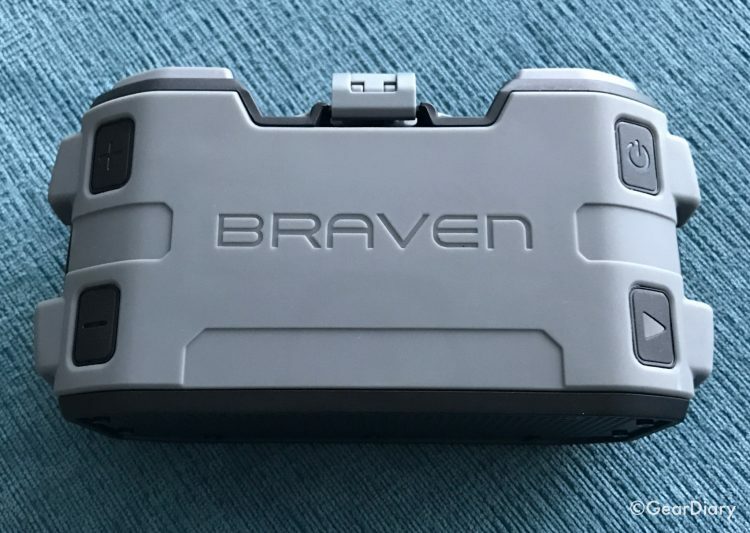 We recently reviewed the waterproof BRAVEN 105. It is a fine speaker at a great price, but for under $50 you can’t expect to get amazing sound. 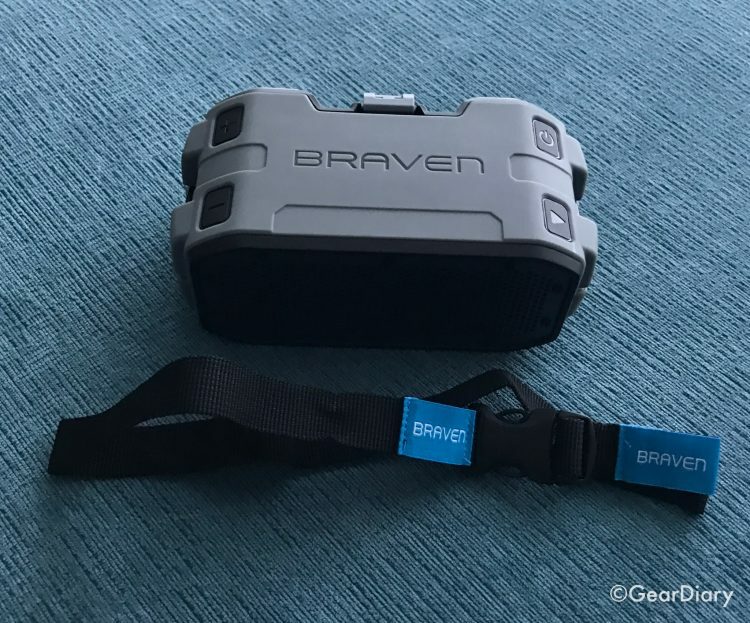 By spending a bit more you can up your game and get the BRAVEN BRV-1M. At $99.99 it is double the price but, as the saying goes, you get what you pay for! 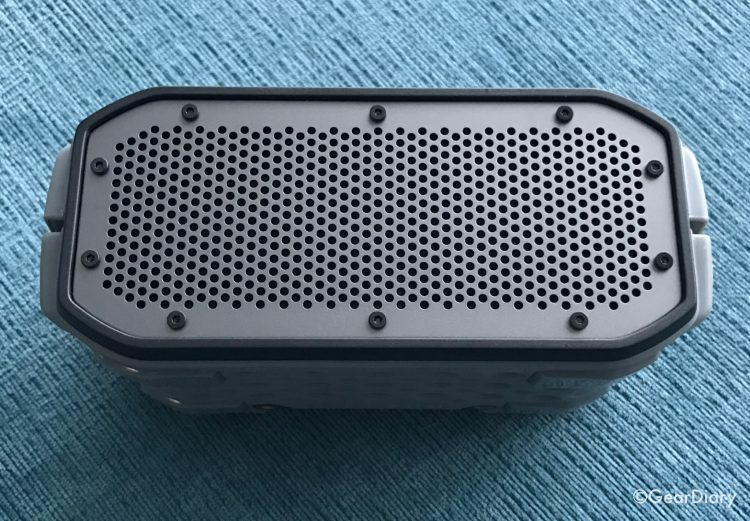 Unlike the round shape of the BRAVEN 105, the BRV-1M portable Bluetooth Speaker has a more familiar rectangular design. A medium-sized speaker, it is 6.4in x 1.5in x 2.8in and weighs in at 1.2 lbs. 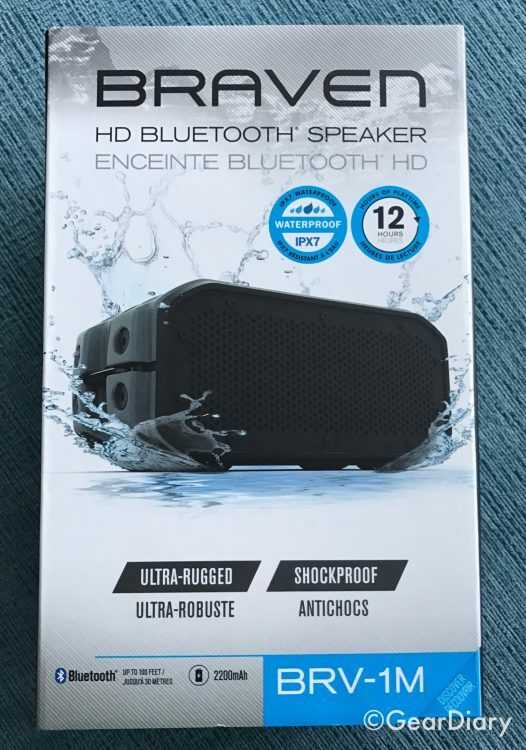 It is not, however, one of the typically boring speakers that initially helped create the market for Bluetooth speakers. Instead, it has a rugged design that makes clear that this is a speaker ready to take on the world. The corners are slightly cut, giving it a less box appearance. The striking design elements are further enhanced by the inclusion of buttons on the “cut” portions of the corners, the BRAVEN name embossed in the top of the speaker, exposed screws on the sides and a metal bars running from the front to the back of the speaker on each side so you can attach the included strap and carry or secure the speaker on the go. All this adds up to a speaker which looks “Ultra-Rugged” and “’Shockproof” which just happens to be how BRAVEN promotes this speaker. The rugged design of the speaker isn’t just for appearances. The BRV-1M has an IPX7 rating which means it is waterproof that allows the speaker to be fully submerged in up to 1 meter of water for up to 30 minutes. The rubber material used to create the shell of the speaker also means it is shockproof although I have not put that to the test. Despite the rugged build of the speaker, it offers all the standard fare that is common with today’s Bluetooth speakers. It gets 100 feet of wireless range, also offers a 3.5mm stereo input, has a microUSB to USB port, supports a variety of audio profiles and, as one might expect, it has a built-in microphone so you can use the speaker as a portable Bluetooth speakerphone. 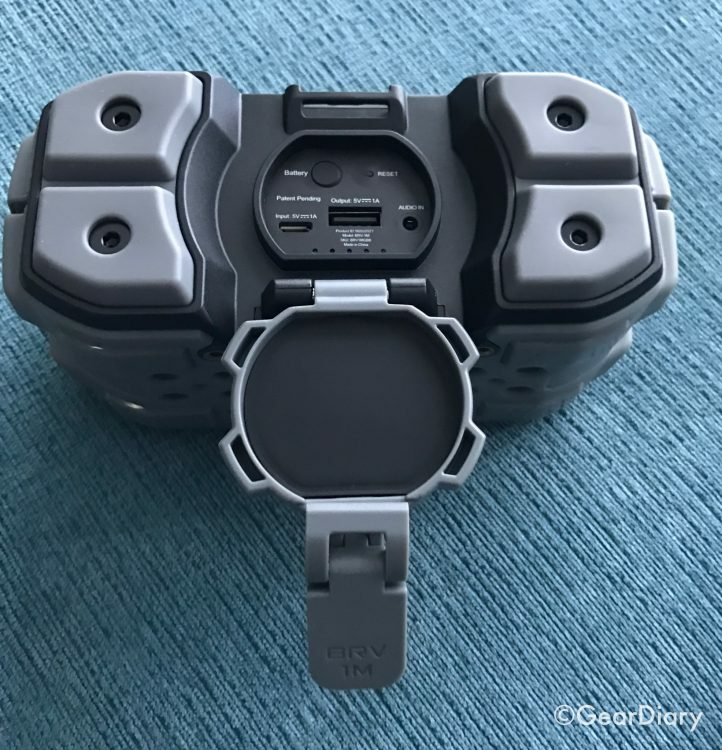 The back of the speaker continues the “I’m so tough I eat other Bluetooth speakers for breakfast” look of the BRV-1M. 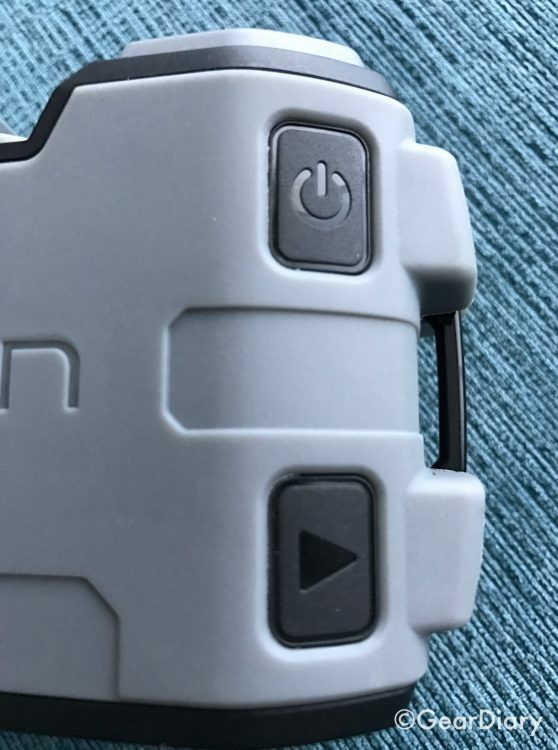 There are four exposed screw settings alongside a round, waterproof cap. 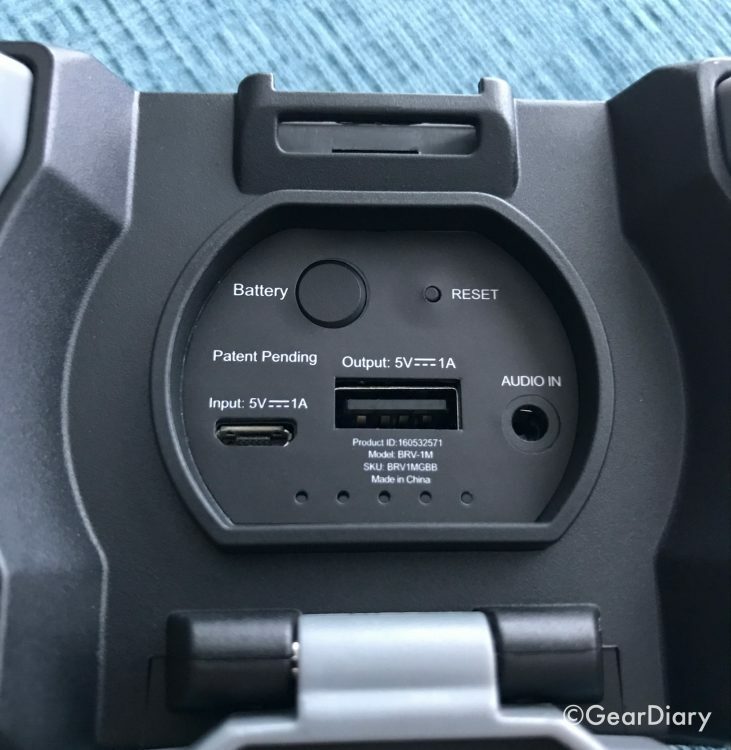 The cap has a released built into it that, when activated, allows you to get to the ports and other controls that are not exposed and waterproof. The speaker packs in a 2200mAh. This not only allows the speaker to get up to twelve hours of runtime per charge. 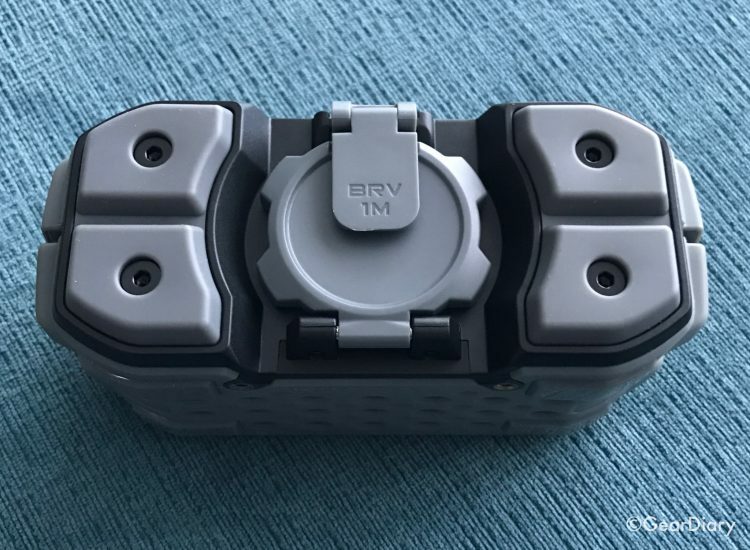 More than that, however, the large battery and the inclusion of a USB port beneath the sealed door means the BRV-1M can also double as a portable power bank. Use the speaker to enjoy your music and charge your smartphone when it runs low, and the speaker will let you travel even lighter than you normally do. Yes, this speaker really is for the person on the move! 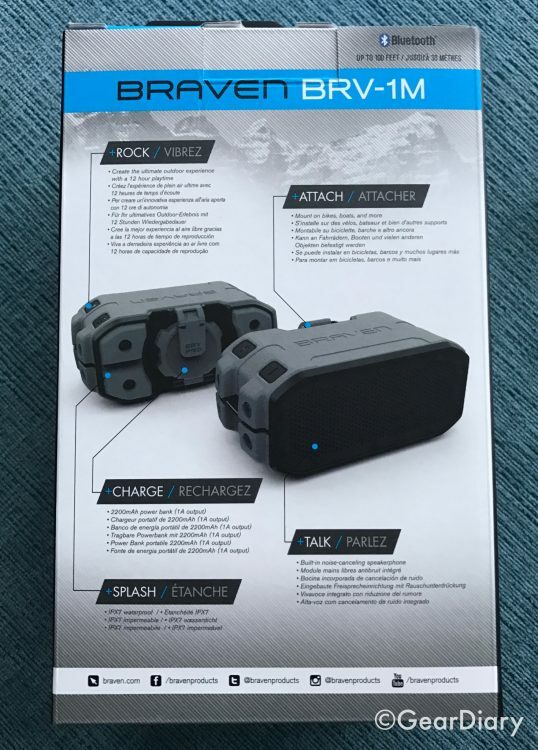 And, speaking of “on the move” in addition to carrying the IPX7 Waterproof rating, the speaker adds in some extras that go along with its rugged design. 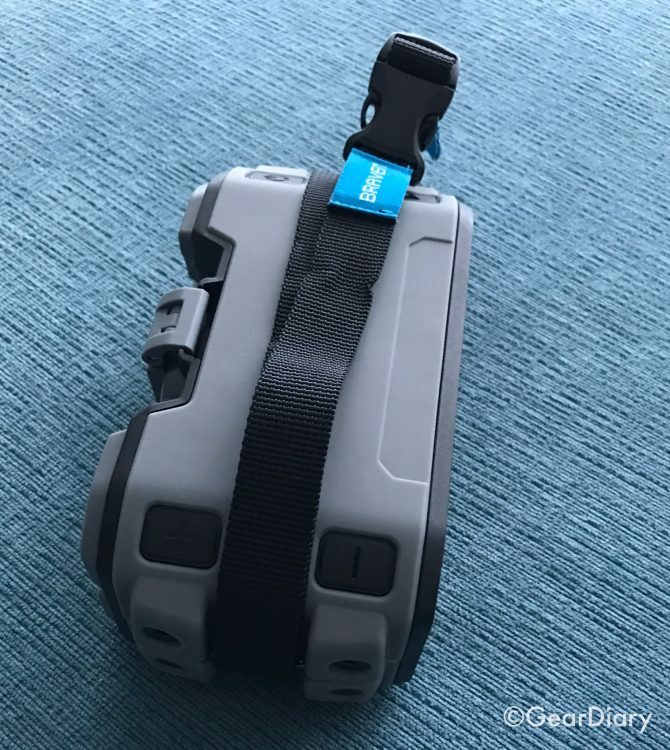 These include an Action Mount Accessory that lets you use Go-PRO style mounts and a tie-down strap so you can secure the speaker to pretty much anything your heart desires. At just under $100 this small, portable Bluetooth speaker hits a sweet spot that makes it accessible to many. It gets bigger sound than the BR105 but, despite the larger size, is still almost as portable. Of course, this isn’t a speaker you would want, or expect, to serve as your home audio system, but as a portable Bluetooth speaker at an affordable price, this hits pretty much all the right notes. The speaker makes its appearance in an ever-crowded space, and as a result, may have a hard time gaining traction. With its decent sound, mobile size, good runtime and ability to charge a mobile device, its rugged, waterproof design is definitely worth a look. 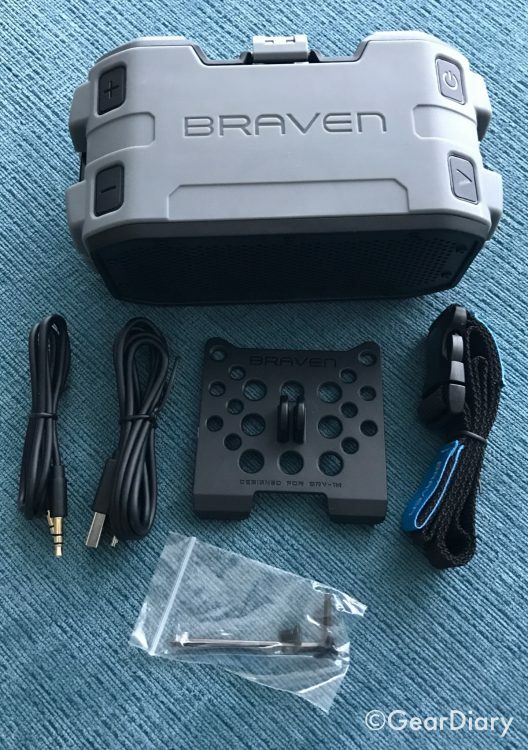 Source: Manufacturer supplied review sample of the BRAVEN BRV-1M.